Registration will open soon for Mother Daughter Weekend 2019! September 13 – 15, 2019! Camp Nakanawa invites you to attend our 10th annual Mother Daughter Weekend! 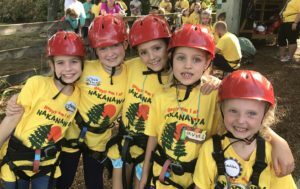 This event is designed to introduce little girls to camp by letting them spend a wonderful weekend at Camp Nakanawa, accompanied by their mother, grandmother, or other adult friend. 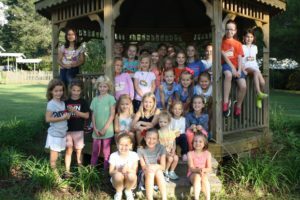 The future campers (perfect age 5-11) and their chaperones will sleep in a cabin, tour the camp, canoe on the lake, ride horses, zipline, eat s’mores, go on a hayride, learn camp songs, and meet many current campers and counselors. This weekend is open to everyone, not just Nakanawa alumnae! Space is limited, so early. Please contact us if you have any questions at 931/277-3711 or campnak@campnakanawa.com . Who: Nakanawa campers, counselors, and parents (past or present), along with any female friends or relatives who are interested in camp. The focus will be on prospective campers (suggested ages 5 – 11). 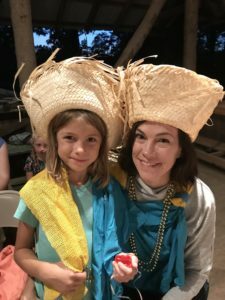 * Introduce your daughter, granddaughter or other favorite little girl to Nakanawa and its traditions, so that when she is of camp age, she’s ready to go! * Introduce adult friends or relatives to camp. 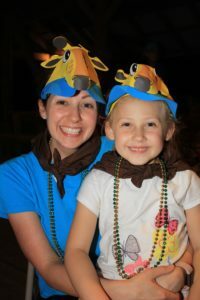 * Get a behind-the-scenes look at camp for prospective campers and moms. * Sample several of the most popular camp classes, including horseback riding, nature (meet and learn about the wild critters and snakes! ), arts & crafts, and climbing wall/zip line. * Experience camp life by sleeping in a cabin, eating in the Dining Hall, and waking up to the bell. * Learn about the Amazon and Valkyrie teams, camp traditions and songs. * Enjoy swimming and canoeing on the lake, a hayride, Council Ring, a lakefront cookout with a bonfire and s’mores, and Evening Entertainment. * Meet Directors Ann and Pepe Perron, as well as current campers and counselors. Nakanawa staff will be present all weekend; however, the adults who bring girls are expected to stay with them at all times, supervising and giving permission for various activities, helping them shower in Egypt (our bathhouse), putting them to bed, etc. Camp is smoke-free, and this will be an alcohol-free weekend. Registration: Open through September 10th. Cost: Adults $175; Children $125 (fees apply to this amount making the total price $187 for adults and $134 for children) This price includes all meals, lodging, and activities. Transportation: Camp is located near Crossville, TN. The Nashville airport is approximately two hours away. The Knoxville airport is approximately 1.25 hours away. Staff: Experienced Nakanawa counselors will oversee the weekend’s activities. Any former counselors interested in volunteering, please email Karen Parrish at karenbarlowparrish@campnakanawa.com. What to Bring: http://campnakanawa.com/centennial/packing-list-for-mother-daughter-weekend/ Click here for a list. Cancellation Policy: Cancellation notifications must be received at least two weeks before the event to receive a full refund, no later than September 9th. Beneath the pine trees, there is a soft breeze… but the sound that is the sweetest .. our NAKANAWA is neatest … oh, Golly Gee … it WILL be great to be … here at Nakanawa! gain confidence and reach their potential in a positive, fun-filled environment.